There's no getting over the floral trend, right? After all, florals do work like a charm when it comes to making chic style statements. Be it to set summer goals in short printed dresses and casual tops or to make standout appearances in exclusive ethnic wear, florals instantly lend in an interesting edge. A perfect case in point is Bollywood celeb Kangana Ranaut's recent saree look that had us crushing on florals all over again. For an event in Mumbai, the pretty actress stole everyone's attention by dressing up in a glamorous floral saree by Anushree Reddy. 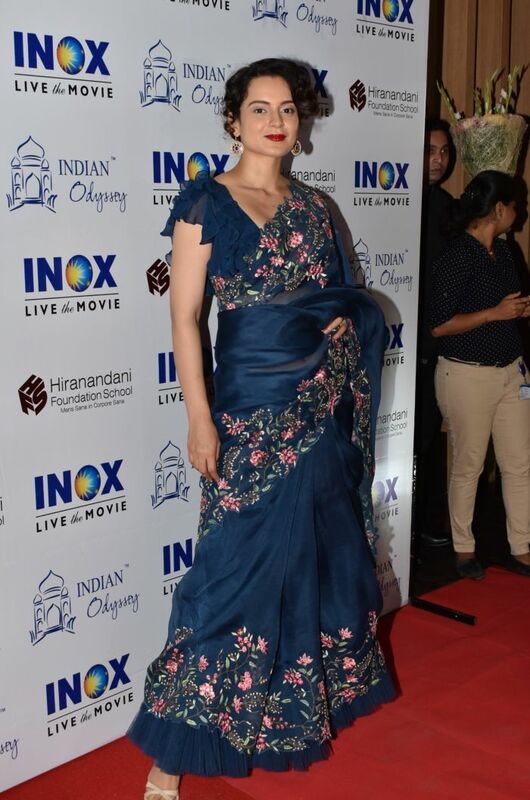 While we have seen many floral sarees before, what made Kangana's choice an instant hit was the beautiful floral detailing on the deep blue saree. The intricate embroidery in vibrant hues was hard to glance away from and Kangana further teamed it with a pretty ruffle blouse to give her look a retro spin. Make a chic style statement like Kangana Ranaut by dressing up in this stunning net saree. It features beautiful embroidered floral detail. You can buy this saree for a discounted price of Rs 1,499. Shop here. Notch up your ethnic game by picking this statement making saree. It features delicate floral detail that come embellished with beaded pearls and sparkling stones. You can buy this saree for a discounted price of Rs 5,299. Shop here. Spread some floral love by glamming up in this beautiful floral printed saree. 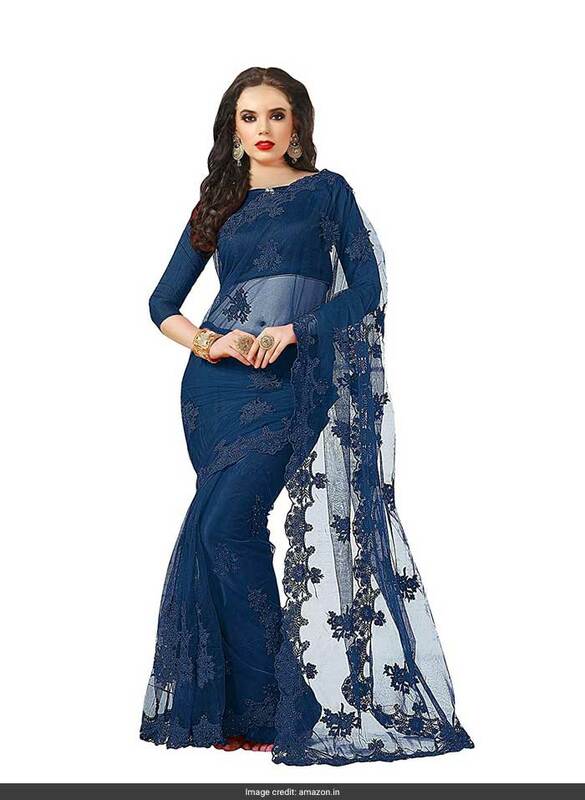 The georgette saree comes with a lace panel and striking floral prints. You can buy this saree for a discounted price of Rs 1,879. Shop here. Steal all attention by make a chic appearance in this floral themed saree from Craftsvilla. It features delicate self floral embroidered that gives it an extra edge. 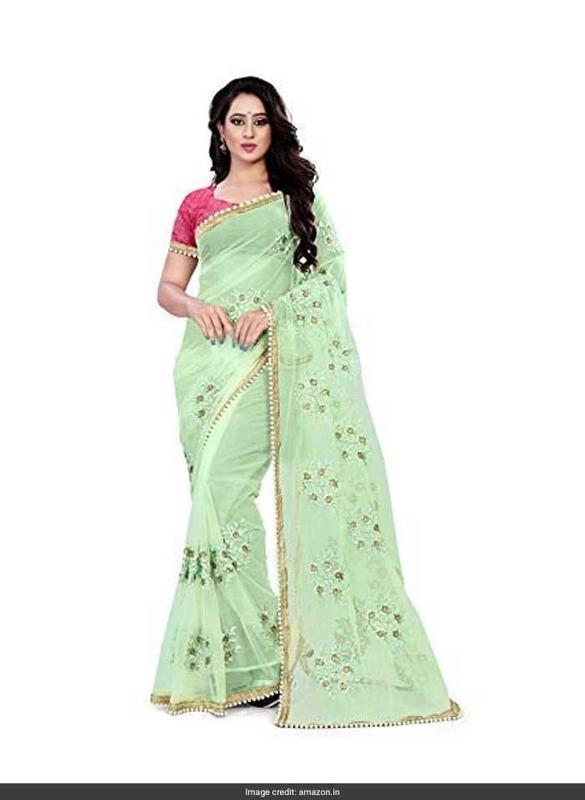 You can buy this saree for a discounted price of Rs 1,102. Shop here. Go for pretty pastel hues and pick this gorgeous net saree that is sure to set you apart. It features self floral embroidered detail. You can buy this saree for a discounted price of Rs 1,099. Shop here. 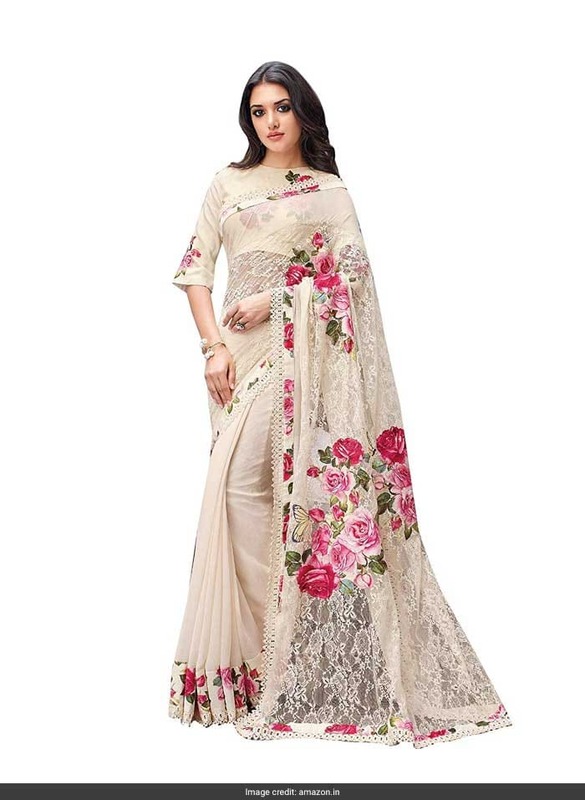 Get ethnic looks on point with these statement making floral sarees.